NEDA's Submission opposing the provisions of the AHRC Legislation Bill 2003. This submission outlines the key issues relating to the DDA and the needs of people from a NESB with disability and their families. NEDA's Response to the Commonwealth's consultation paper regarding Income Support. 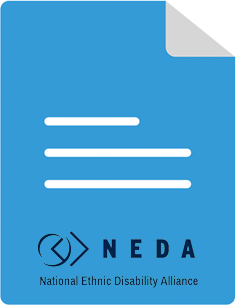 Subscribe to the NEDA mailing list for all the latest on news, projects, events and more.